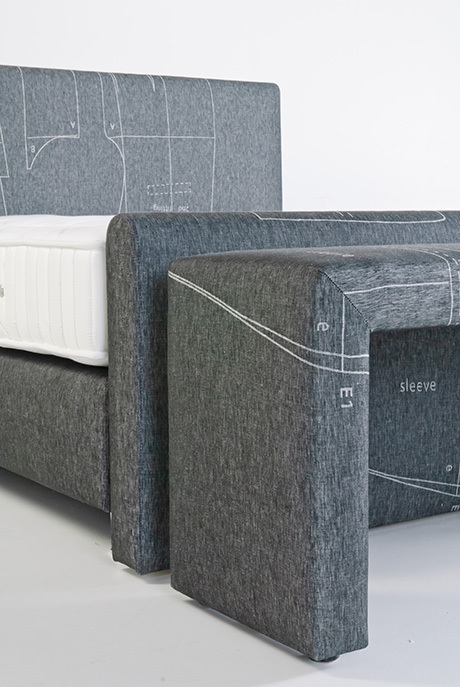 "Making a line of luxury beds was a new challenge that I had to meet. I wanted to transcend my high-fashion ideas beyond their intrinsic nature, beyond the often artificial creative." The creative universe of Stijn Helsen is a multidisciplinary place, one that spreads far beyond high-fashion because the basis is pure creativity. 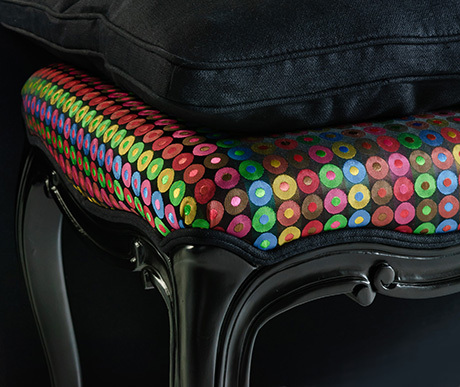 Throughout the years the designer has always flirted with worlds that were not directly related to high-fashion but always had common values, at least to some degree. Stijn Helsen is in need of that transcending approach to keep him sharp, to see what's out there and make it tangible as an all-round designer. New objects and artefacts keep emerging from his restless creative nature. 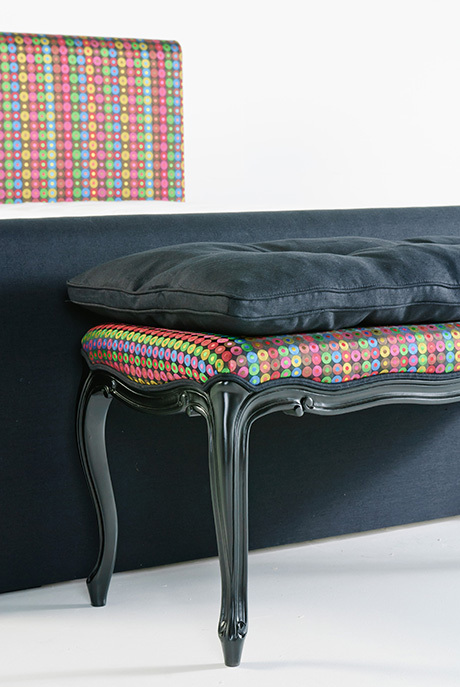 Out of that never ceasing realm Stijn Helsen started transposing his high-fashion creations onto furniture elements which ultimately lead to a ravishing bed collection. 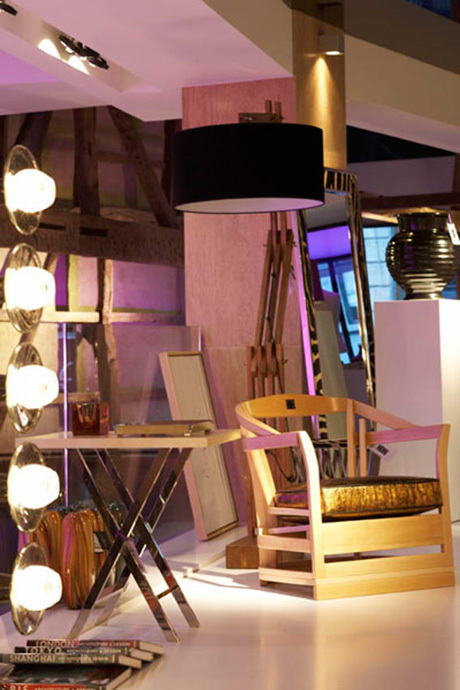 When the first bed designed by Stijn Helsen saw the light of day, people immediately where beyond enthusiastic and soon Stijn Helsen Rooms or SH Rooms emerged to be a success everywhere. 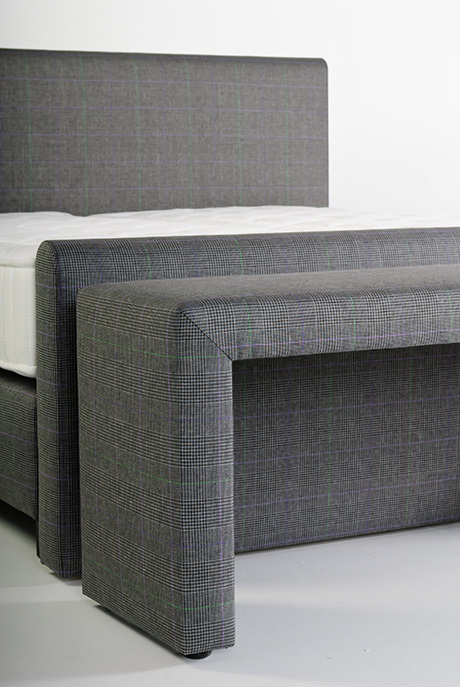 "The 'stijn helsen rooms' bed collection represents what we stand for as a design team." 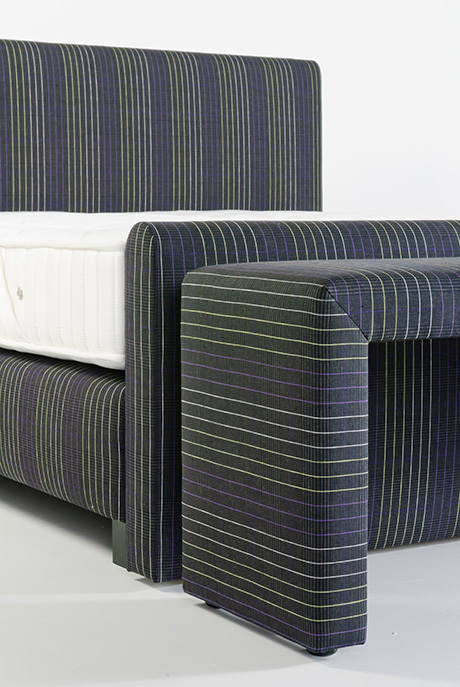 Stijn Helsen's fashionable bed line is characterized by lots of attention to subtle details: stitching in striking colours with eye-catching buttons on a sober pin-stripe bespoke suit, contrasting silk linings that attract attention when the blazer is unbuttoned... and above all a perfect fit. 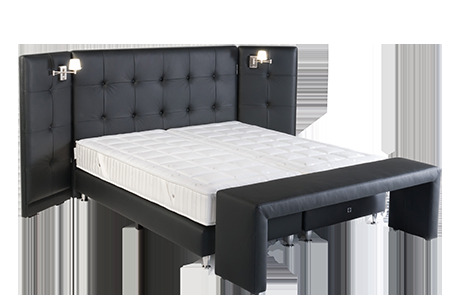 The beds look like a funky, bespoke suit with elegant lapels and a proportioned waist with a tubular silhouette. 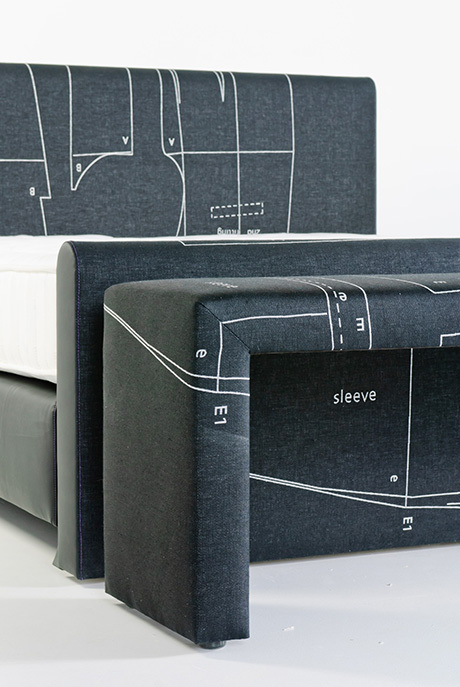 These are the characteristics of the designer Stijn Helsen transposed onto his line of elegant, fashionable beds. They feel heavenly and look like perfect suits with tailoring patterns, SH signature stripes, fabrics like 'Prince de galles' or black leather... Or, how high-fashion transposes beyond its own boundaries.